This is a very special recipe to me, as it was the only dish I made growing up. And I only got to make it once a year, for Thanksgiving. Now, every year my family insists I make it, the same exact way I made it as a kid. Well, this year, I switched it up by adding some sautéed mushrooms. I loved the flavor of the cream of mushroom soup, but really felt like I was missing out by not having actual mushrooms. I must say, adding mushrooms really makes the difference I was looking for. But, above all else, the most important difference between this green bean casserole recipe and the classic on the French’s fried onion package, FRESH green beans! 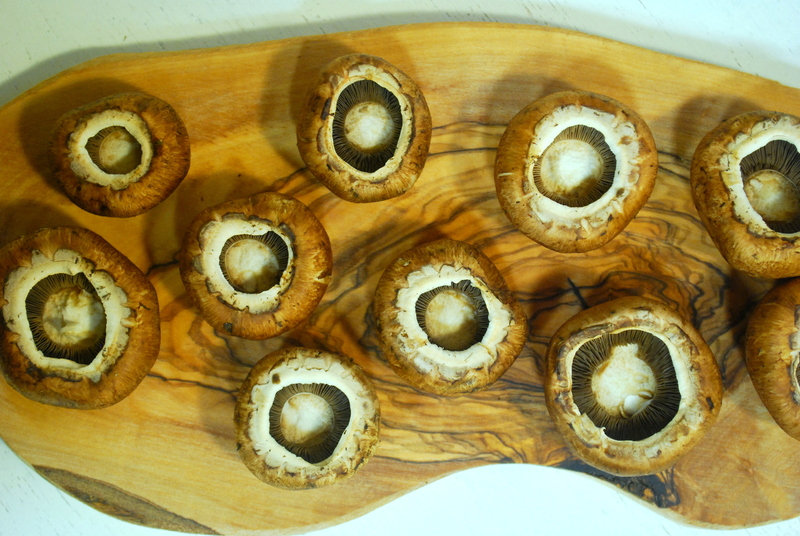 Clean the mushrooms with a damp paper towel. Remove stems and save for making veggie or chicken stock. Slice 1/4 inch thick and sauté in a splash of olive oil, over medium-high heat, making sure not to overcrowd the pan. Not overcrowding the pan with mushrooms will allow for better browning. You will probably have to do this in a few batches. In a large bowl, mix together the halved green beans, canned soup, milk, salt, and sautéed mushrooms. 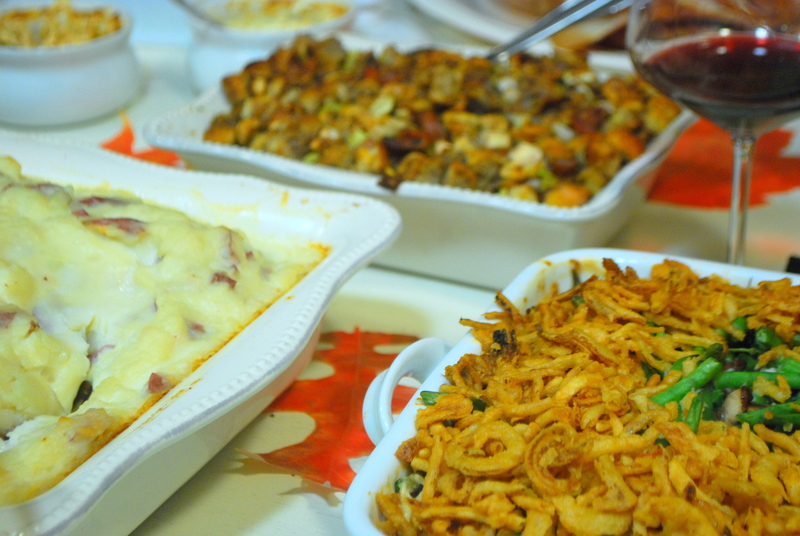 Pour everything into a large casserole dish and decorate with fried onions. My design of choice is a simple border. Bake for 30-45 minutes. The time it will take for your casserole to bake depends both on the thickness of the beans you use and how crispy vs. soft you like your veggies. I veer toward the shorter cook time because I like my veggies to still have a good bite to them. This is the recipe I go to when making green bean casserole, except I add a couple of dashes of soy sauce. The addition of that makes all the difference.